Andrade remembered almost nothing of his father. A small man, like Andrade himself, quick-tempered, silent. He was never home during the day. Other tradesmen might get rained out, but Andrade’s father was a master stonemason and worked indoors. He would leave the tenement before dawn and return long after the children were asleep. Sundays he spent in the park with the other masons, sitting on benches or playing bocce. On cold winter days they would play dominoes in a café, drinking Strega and cups of bitter coffee. Many years after Andrade’s father died, a graduate student contacted him about the cats. 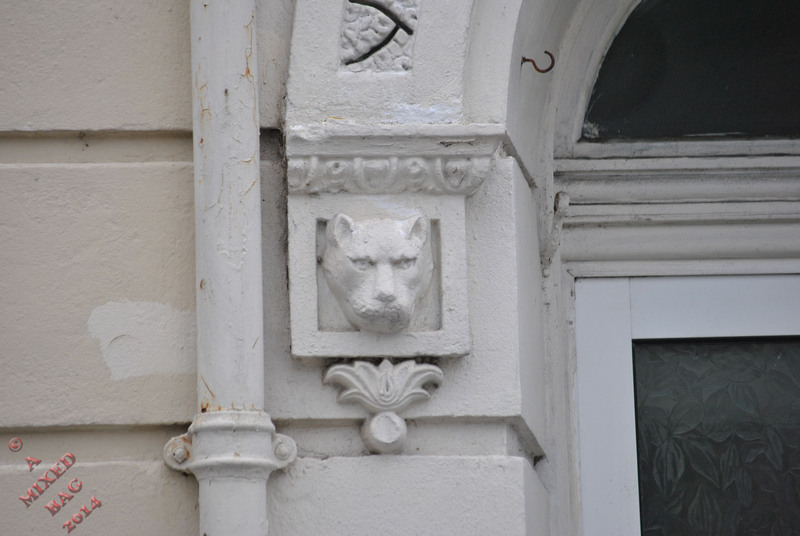 He said that Andrade’s father had created hundreds of stone cats that decorated archways and cornices, each cat a unique masterpiece of the carver’s art. The student showed him dozens of photographs from buildings all over the city. Andrade was stunned– the faces of the cats were human. He recognized his mother, his brother Carlo who was killed at Bastogne, his grandfather, himself.